Capturing value from global networks, published on April 14 by the IfM, describes a set of approaches developed by IfM researchers and put into practice with a range of leading manufacturers to help them effectively design and manage their global networks. 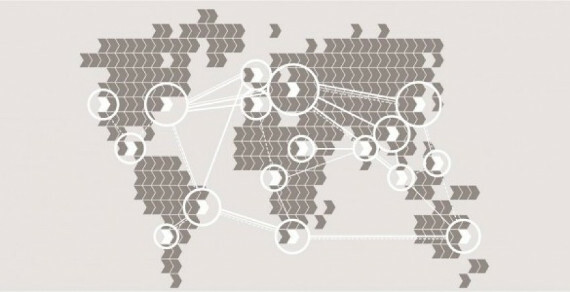 The publication of Capturing value from global networks is timely in the context of a growing trend for reshoring and the government’s policy initiatives to support high value manufacturing in the UK, for example, through the £245 million Advanced Manufacturing Supply Chain Initiative (AMSCI) fund. This new report makes the point, however, that reshoring is only one part of the puzzle. If the UK is to benefit from a more buoyant high value manufacturing sector, companies need to make a range of effective strategic choices. While deciding where to manufacture goods is critical, companies also need to design and manage an effective supply network which relies on large numbers of specialist firms providing key components and technologies, often spread around the world. Furthermore, many companies are developing a service component to their businesses which brings with it further complexity and a whole new set of delivery partners. On top of this, new technologies are emerging to transform whole sectors and the business models of companies within them. Both the companies themselves and their governments want to ensure they benefit from these new technologies – and to do so they need to understand the new industrial landscape and act accordingly. Jag Srai, Head of the IfM’s Centre for International Manufacturing (CIM) and co-author of the report, said: “The off-shoring/reshoring discussion tends to focus on just one part of the story – cost. While cost is always a factor, leading companies are beginning to configure global networks to address the most attractive markets with highly responsive, integrated supply chains. The IfM has developed a set of approaches that can help companies and governments understand and navigate their way through these complex issues. One example of a sector-level initiative is its leading research role in REMEDIES (RE-configuring MEDIcines End-to-end Supply), a £23m project on reconfiguring pharmaceutical supply chains as part of the UK Advanced Manufacturing Supply Chain Initiative. It has worked with 50 multinational companies on network design projects.